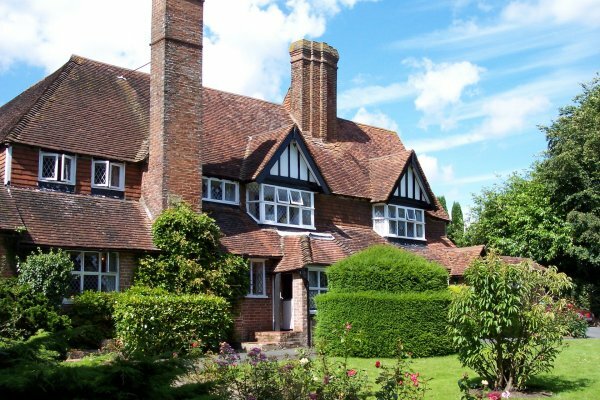 The Brickwall Hotel is a charming 16th century Tudor mansion overlooking the pretty award winning village green of Sedlescombe, near Battle in the heart of the beautiful East Sussex 1066 countryside. 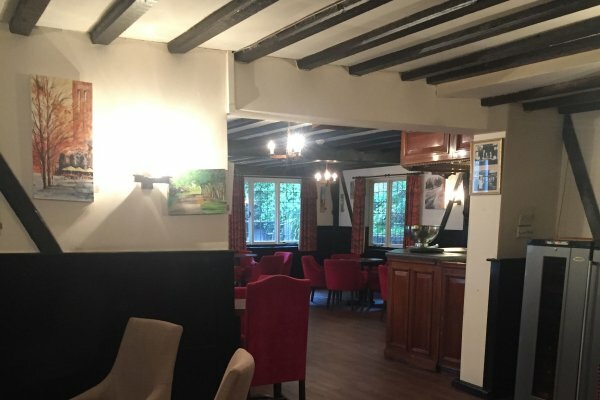 Originally built for the local ironmaster in 1599, the hotel has been privately owned and run by the same family for over 35 years - currently father and daughter Giuseppe and Tania Pollio - and has consistently offered excellent standards of service from our welcoming, friendly and experienced team. 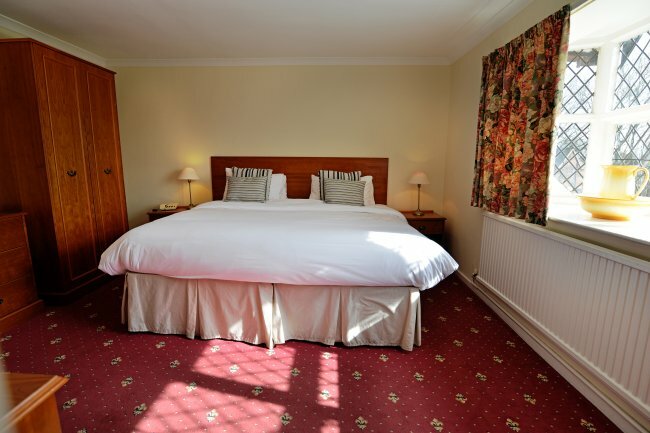 The hotel offers 24 guest bedrooms, a stunning oak-panelled bar and restaurant, a relaxing residents' lounge and numerous sun traps within the hotels beautiful 2 acre grounds. A peaceful secret escape that we know you will always want to return to! 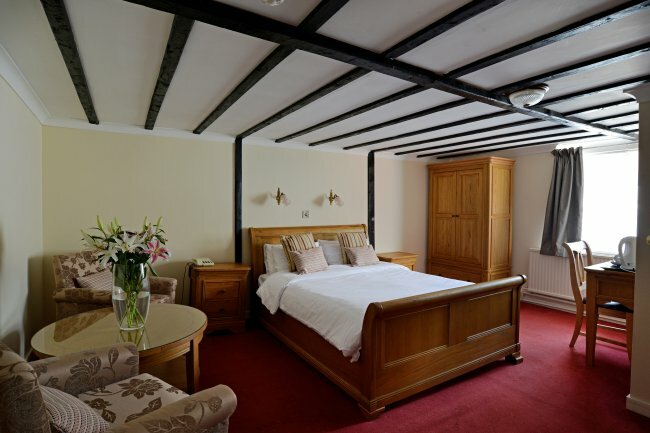 The hotel is situated just off the A21 that connects London to Hastings within easy reach of Hastings, Rye, Tenterden, Tunbridge Wells and the M25. Please see this map for directions. Please call 01424 870253 or email us for enquiries, or click here to book accommodation online. 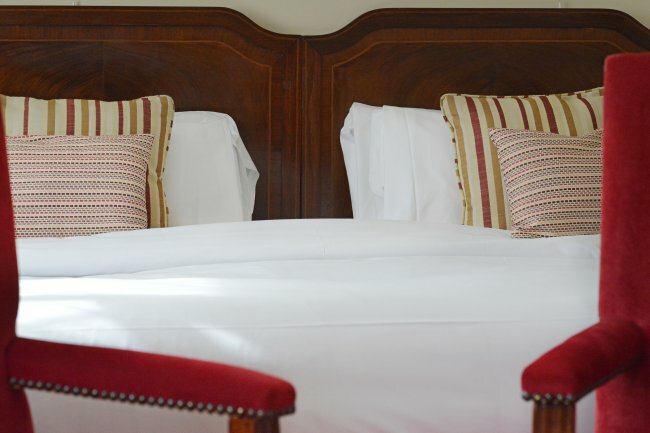 Rates are per person including dinner, bed and breakfast and are available by contacting us direct. not available over Easter weekend. Jazz Orchestra with a superb new 3 course dinner. another fantastic murder mystery during a superb 3 course dinner. Great fun, great food, great acting, great company! 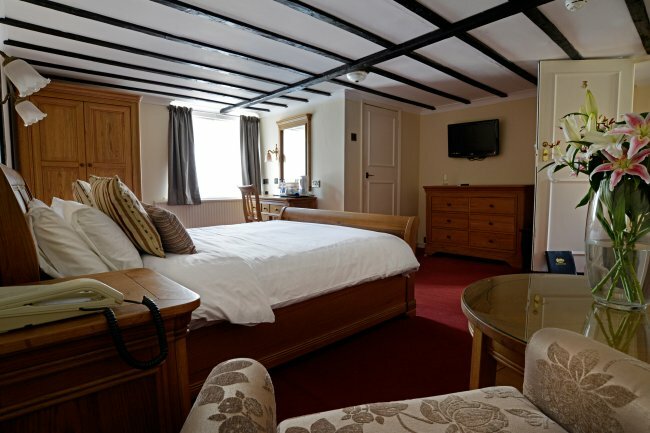 The Brickwall Hotel offers the perfect getaway to unwind in peace after busy days out sightseeing, visiting the many gardens and vineyards, walking scenic trails and enjoying the fabulous East Sussex coastline. 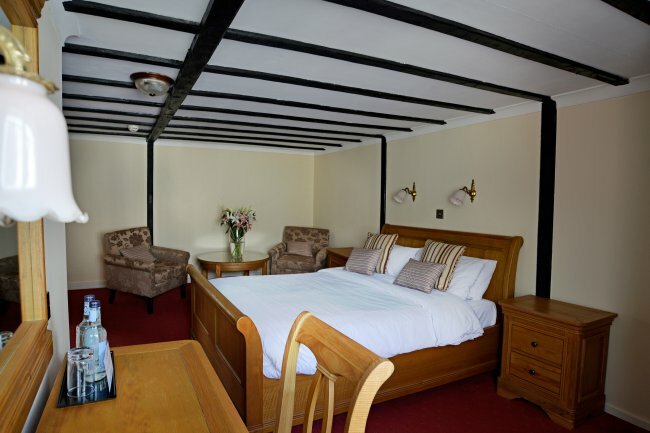 All our bedrooms have en-suite facilities, free wifi, TV, direct dial telephone and tea/coffee making facilities and are available on a bed and breakfast, or dinner, bed and breakfast basis. We offer fantastic Mini Break rates for stays of two nights or more as well as special packages for Christmas and New Year. Prices are on a per room per night basis, inclusive of breakfast & VAT. Please note that room tariffs may vary. 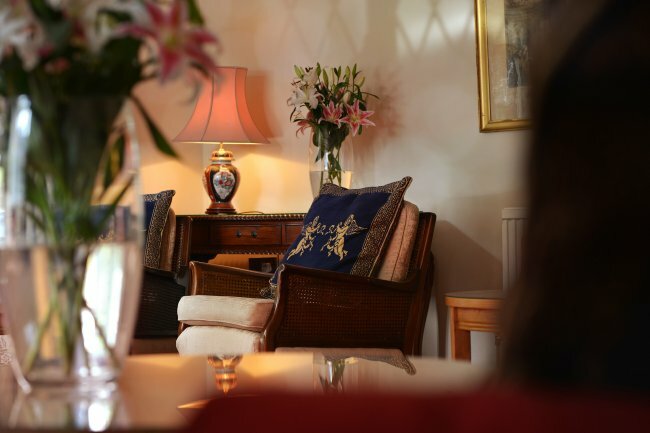 Mini Breaks - We also offer special rates at various times of the year for a minimum stay of two nights to include dinner, breakfast and accommodation. Please contact us direct if interested to discuss rates and availability. Single Occupancy Mini Break rates are also available. 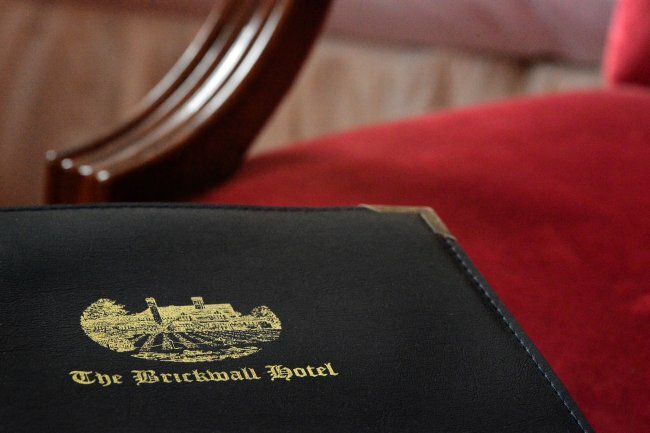 At The Brickwall Hotel we offer Christmas Breaks for 3 or more nights and New Year Packages for 2 or 3 nights. Over the Christmas period we offer a traditional Christmas feel with quiet celebrations for the festivities. Fully inclusive of Dinner, Bed and Breakfast you can enjoy a superb few days at the hotel with beautiful log fires, carol singers and indulge in our amazing seasonal food. New Year packages are inclusive of Dinner, Bed and Breakfast with a special Gala Dinner Dance on New Years Eve. Live entertainment is provided and a spectacular fireworks display at the end of the night. 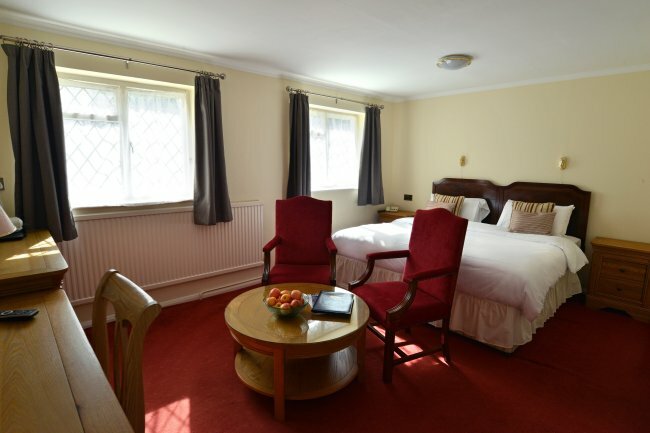 All prices are per person based on two sharing a Double or Twin Room. 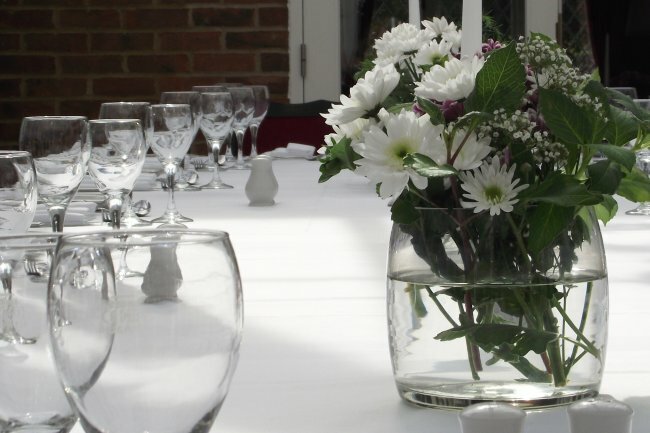 We offer a variety of different menus, A La Carte, Table D'Hote and specially tailored party menus. We also cater for vegetarian and other specific dietary requirements. 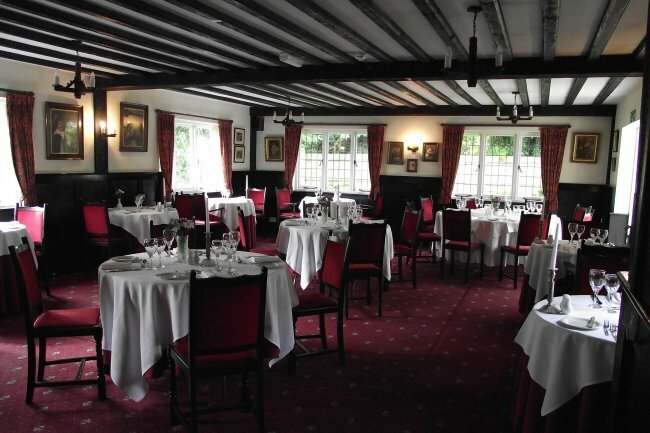 Particular attention is paid to the quality and variety of food served in our restaurant by Head Chef, Andy Fraser. 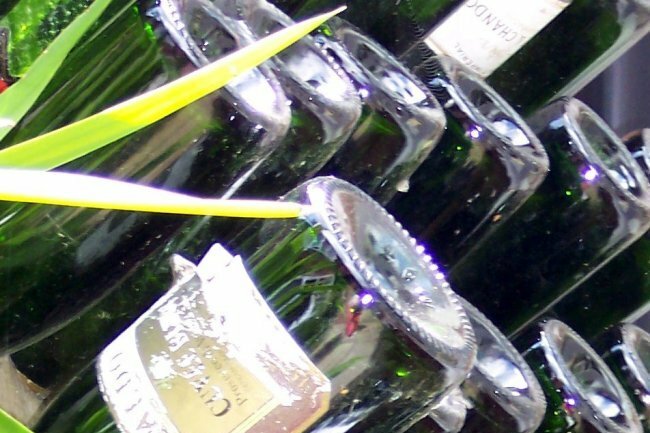 To complement the cuisine the Brickwall has a well-stocked wine cellar with a large range from its wine merchant of over 35 years. 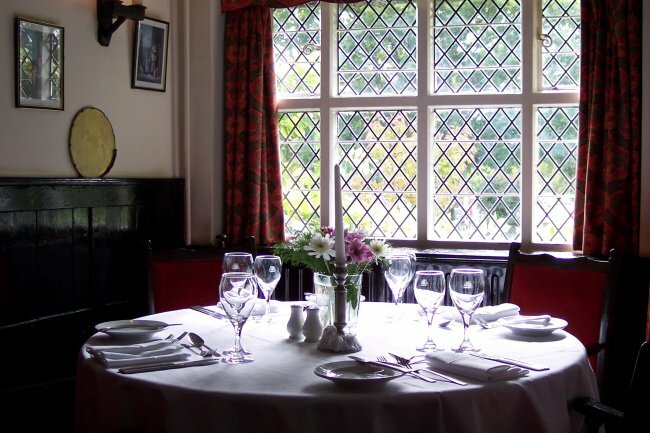 Our beautiful oak beamed restaurant with its traditional silver service restaurant, is open daily to the general public as well as being enjoyed by the hotel residents. 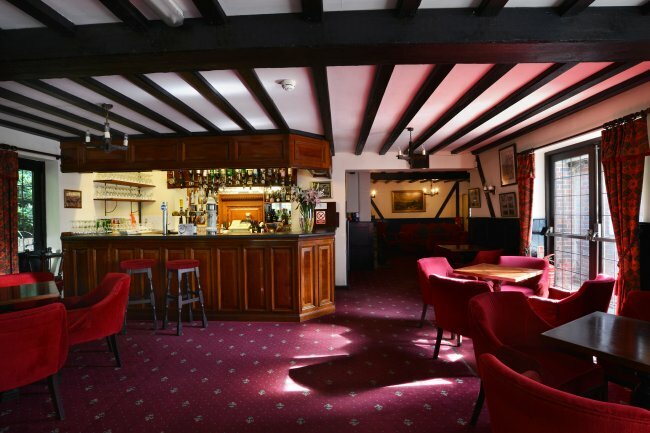 The bar is situated next to the restaurant and is available for pre-drinks and features a roaring log fire during the winter months. In the warmer months, French windows open onto a lovely sun terrace. 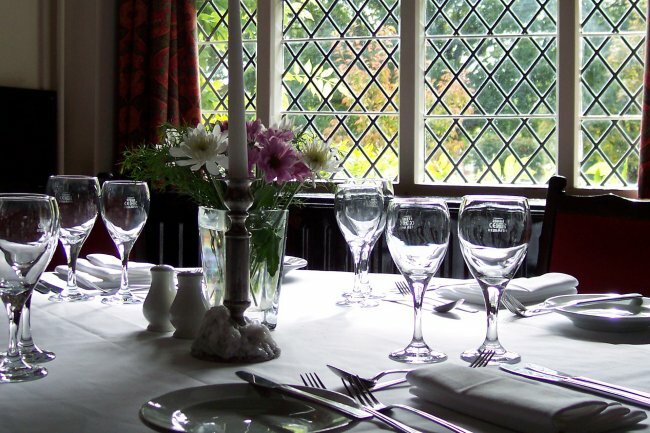 We have superb Pre-Christmas lunch and dinner party menus available, cater for lunch and dinner on Christmas Day, and offer a wonderful New Years Eve Gala Dinner. 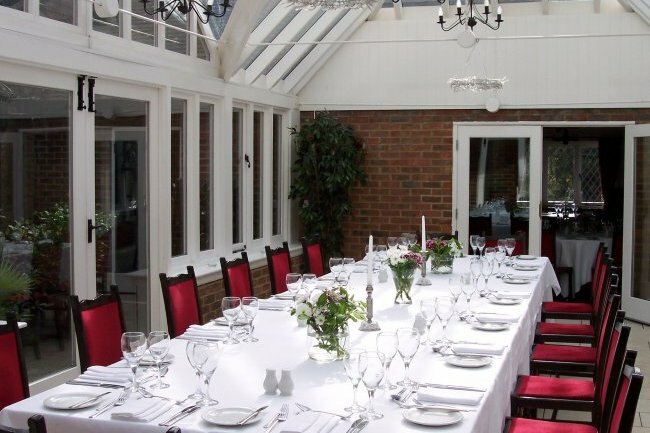 The hotel's beautiful oak beamed dining room offers a wonderful setting with a great atmosphere for any special occasion. 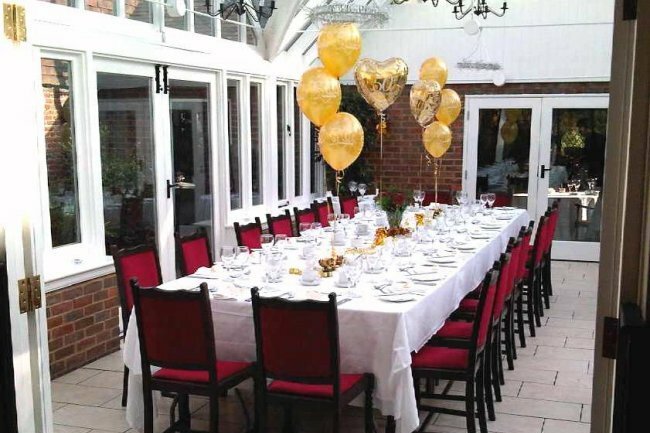 The entire restaurant can be designated to large private events/parties such as wedding receptions, anniversaries, birthdays, retirements, Christmas office parties, business team building events, christenings, charity functions and funeral wakes. For medium sized events, areas of the restaurant can be curtained off for privacy. 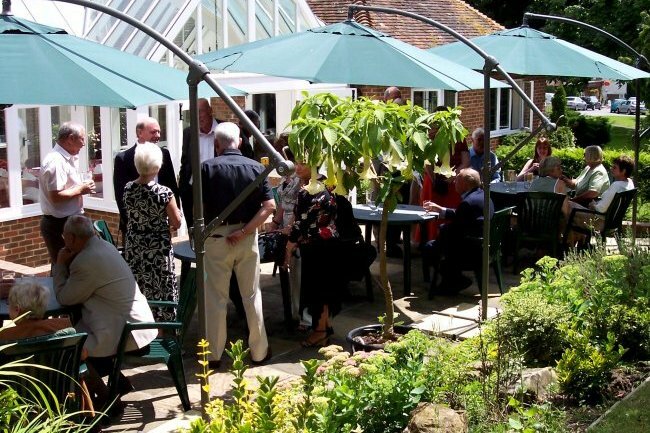 The beautiful Garden Room is the perfect venue for smaller private parties and conferences seating up to 30 guests and can be closed off for complete privacy when required, and extends on to a spacious sun terrace for those wonderful summer occasions. 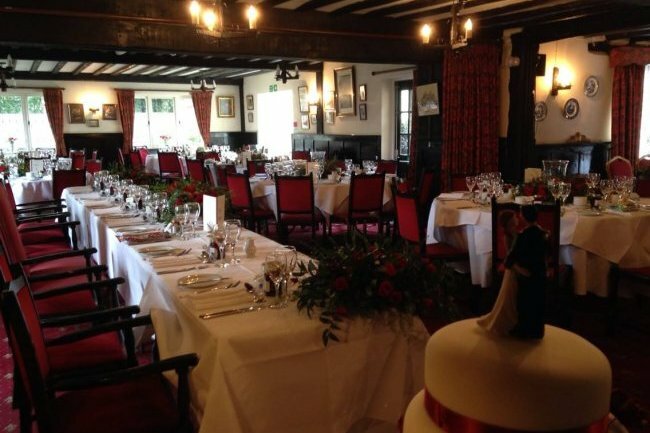 Our very experienced General Managers Giulio Pontecorvo and Tania Pollio would be delighted to meet with you to discuss your specific requirements and to personalise your special occasion from our range of superb menus.